House flies are among the most common pests that are around in summer and Ocean County NJ pest control companies deal with these pests throughout the season. Flies don’t bite, but they do carry germs that they leave on surfaces and food. Fortunately, researchers are working on ways to reduce their numbers. Scientist that work for the U.S. Department of Agriculture discovered that they can stop house flies from being able to reproduce. This involves the use of a virus that prevents female house flies from laying their eggs. The virus also stops male house flies from mating. Researchers looked at varying ways to infect flies with this virus and found that exposure to water and other infected flies produced the best results. They also studied other methods of infection, such as liquid baits and sprays. Although this virus doesn’t provide a quick way to get rid of house flies right now, research could lead to improvements in fly control. In the meantime, NJ homeowners should seek help from professional pest control services to eliminate house flies from their home. If you have an infestation of house flies in your home, contact Allison Pest Control right away. As one of the top Ocean County NJ pest control companies, we’ll provide you with prompt and effective service to rid your home of flies. Will This Winter for Pests be Like 2015’s? If you ask the best exterminator in Tom’s River what this winter has in store for us, as far as pest control is concerned, you may be thinking about all of the developments that occurred last year. As winters go, 2016 was relatively mild, which means that pest control specialists were pretty busy. This is because the mild winter led to a significant jump in the number of pests that emerged as soon as spring arrived. The question is, what does this winter have in store for us? • The Zika Virus – This is a virus that’s spread by mosquitoes, and it can lead to flu-like symptoms in about 20% of those who get it. • El Niño – We’ve seen El Niño happen many times over the years, and when it does, we’re in for higher temperatures during the winter. That means less pests die off and more emerge in the spring. • Pesticide Laws – The toxicity of pesticides cannot be questioned, and there are always new laws for the purpose of protecting people. Unfortunately, there’s not much you can do about any of these factors. Just know that the best exterminator in Tom’s River is here to help you. Please contact us right away! One of the biggest problems associated with pests in the home is potential health issues. Certain kinds of pests are known for increasing the severity of asthma and allergy symptoms in those who have these conditions. If you have a problem with any of the following pests, it’s important to seek help from the best NJ exterminator. Exposure to these pests can cause wheezing, tightness in the chest, or more severe breathing difficulties for those with asthma. For those with allergies to stinging insects, being stung by one of these pests can lead to potentially life-threatening allergic reactions. 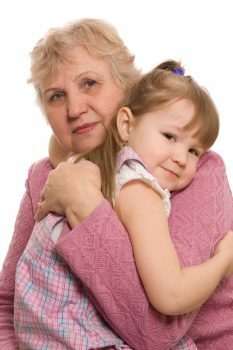 Those who have other allergies can end up with symptoms such as sneezing, itchy eyes and coughing when they are exposed to cockroaches, dust mites or rodents. One of the most effective ways to lower your risk of having respiratory health issues is by reducing your exposure to pests. That involves taking steps to keep them out of your home or dealing promptly with any infestations you already have in your home. 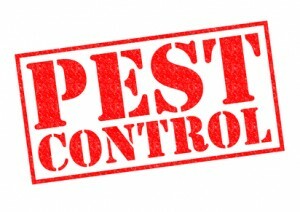 When you’re looking for the best NJ exterminator, don’t hesitate to call Allison Pest Control. We’ll eliminate pests in your home that are causing health issues.